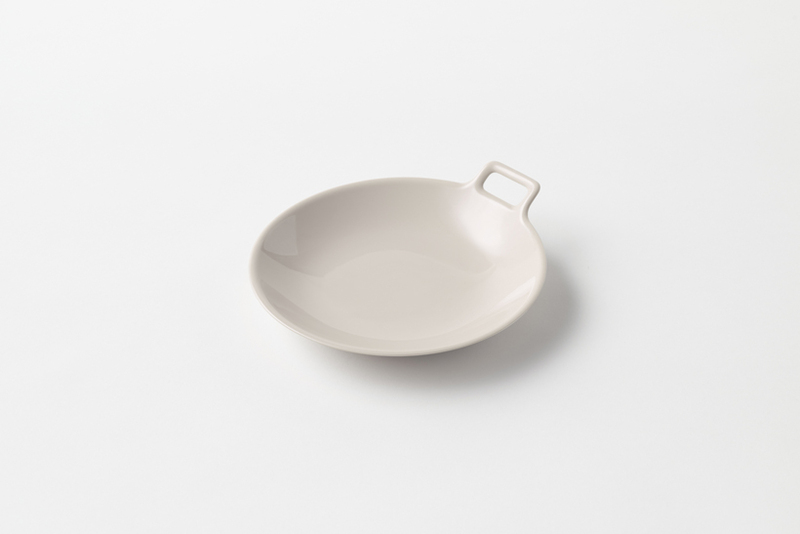 Cooking utensils such as pots and frying pans have handles, but tableware such as plates and bowls do not. 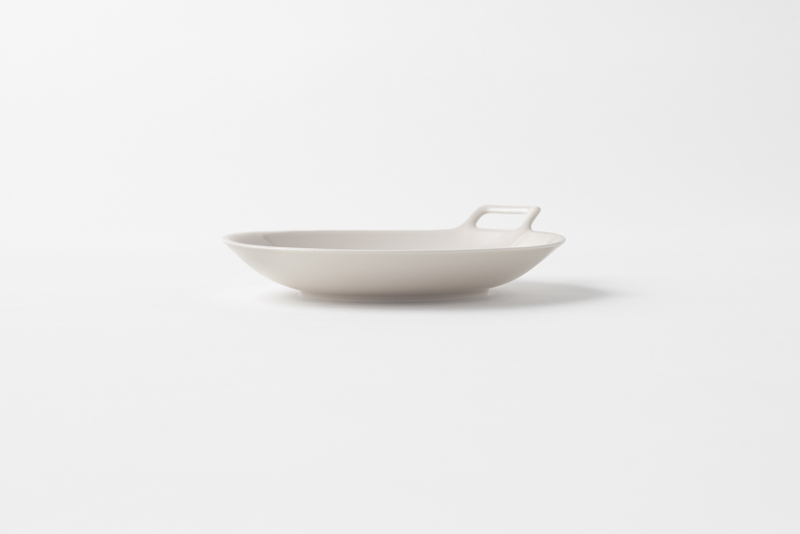 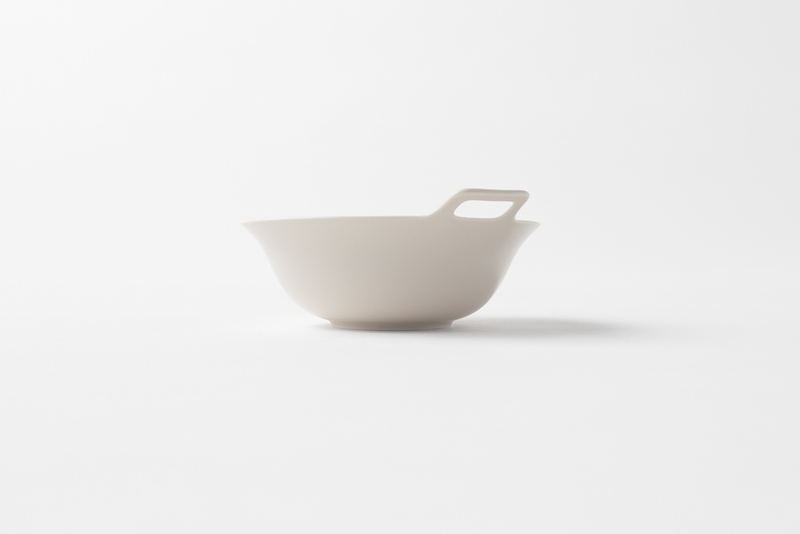 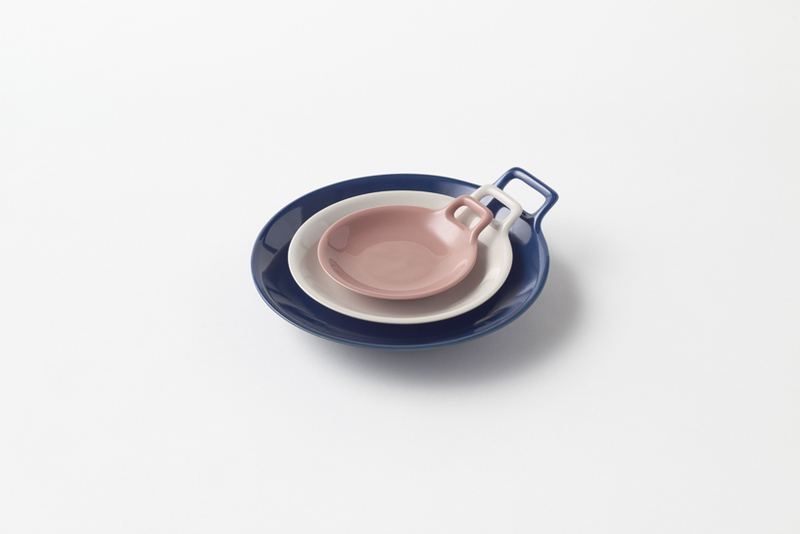 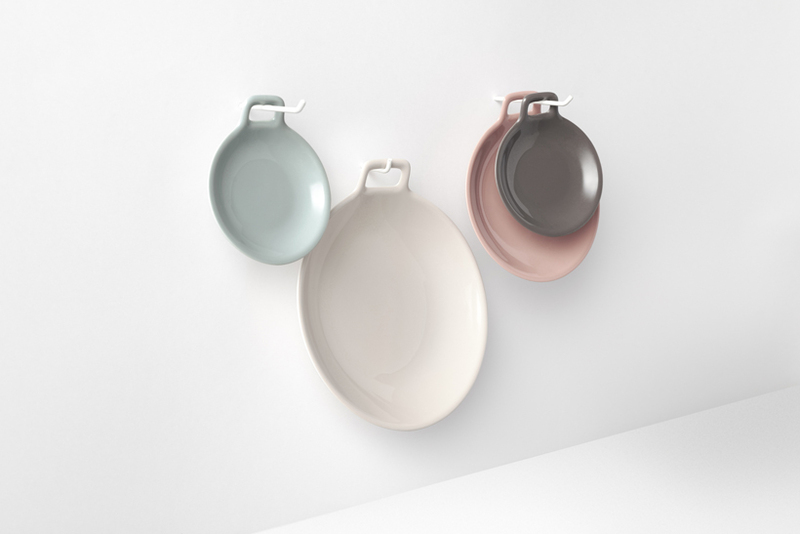 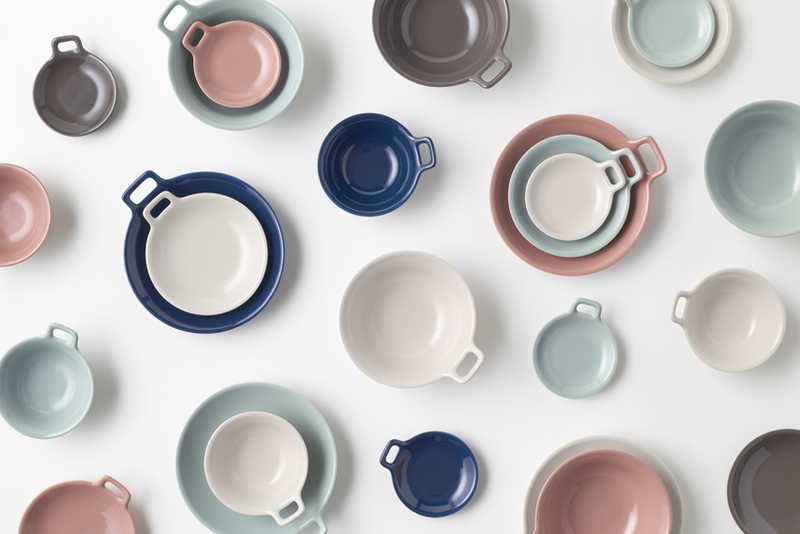 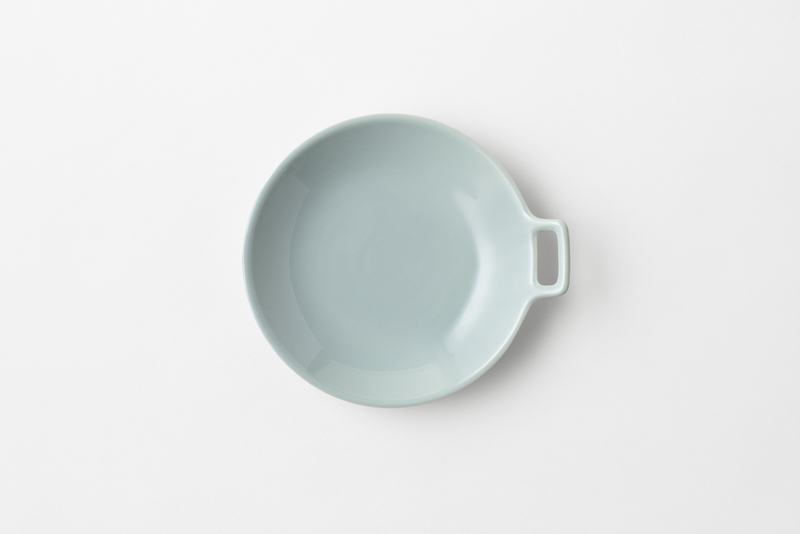 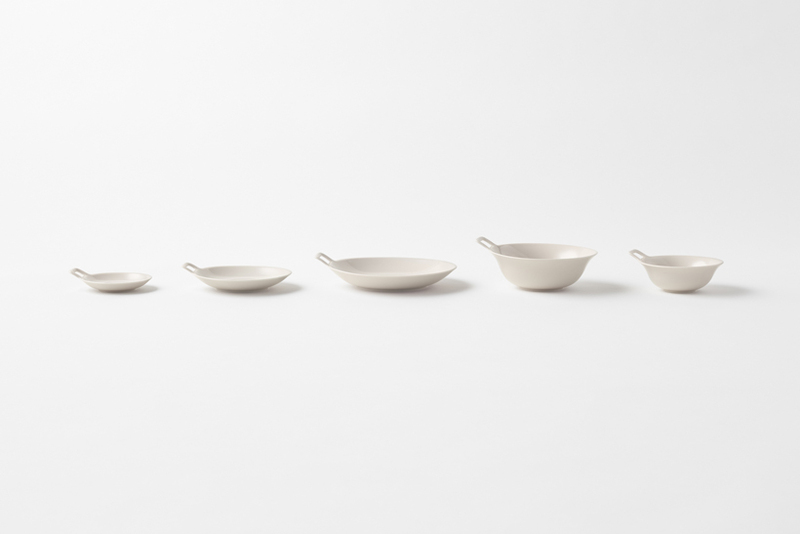 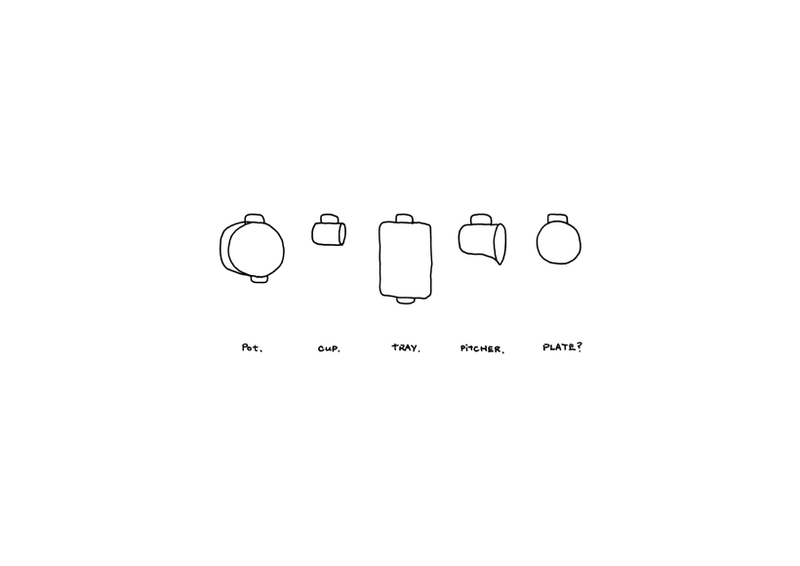 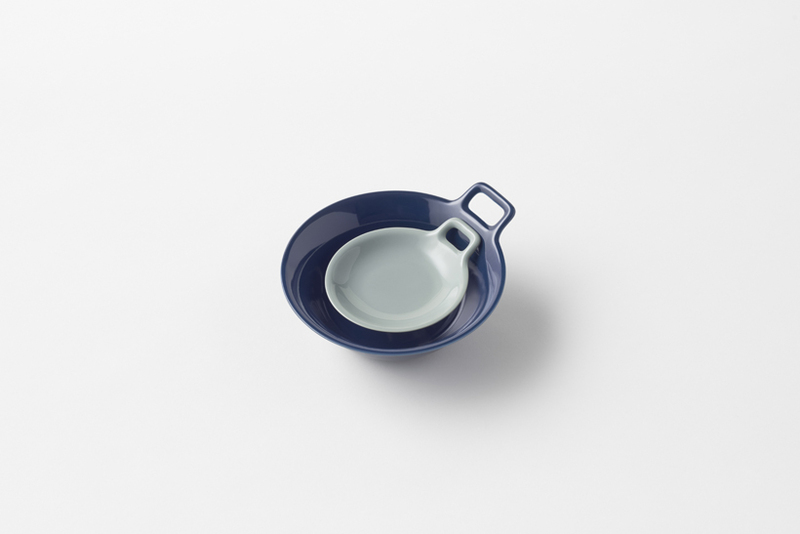 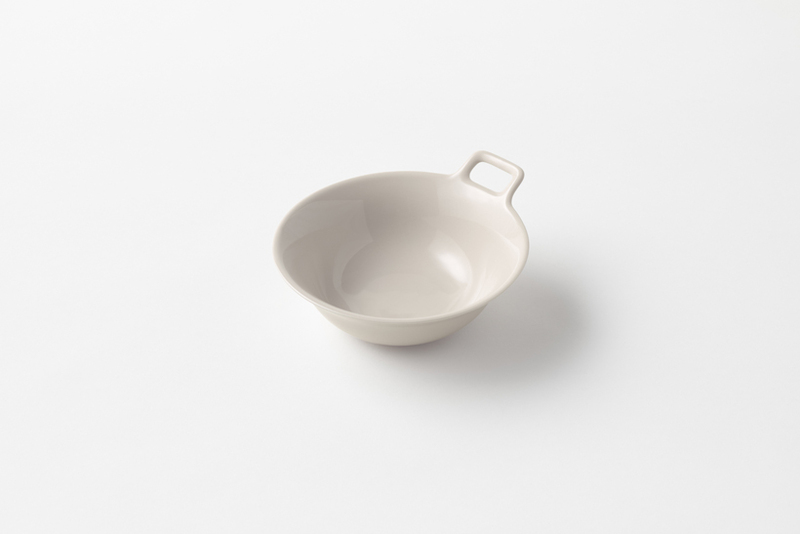 We have designed plates and bowls with handles, ‘totte’ in Japanese, giving them new functions: they are easier to carry, they can be hanged and stored with hooks, and are easier to hold when the plates and bowls are hot. 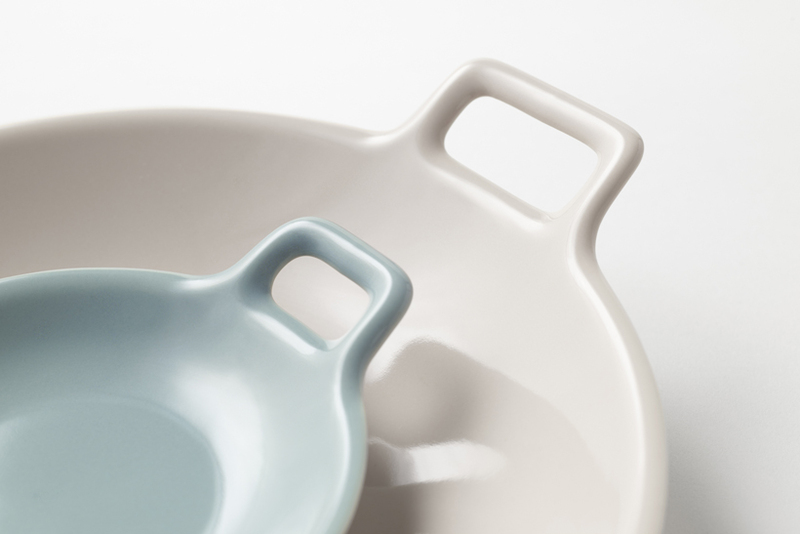 Not only has this resulted in new ways of using them but provided them with a strong “sense of security as a tool”. 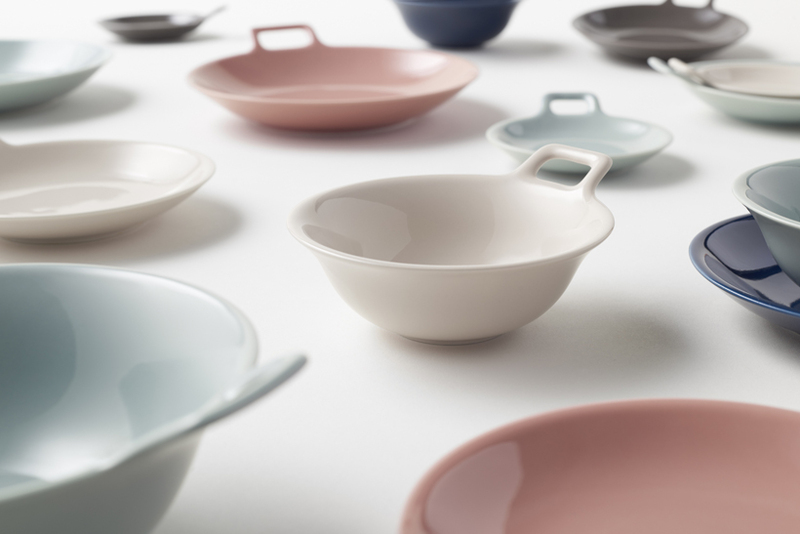 The product lineup consists of round plates and bowls, each in three different sizes and in five different colours.